“Amy was exactly what we asked for. Amy liaised with all of our suppliers before the day, and ensured the day ran 100% smoothly. I had literally nothing to worry about on the day with regards to logistics / practicalities and this is an absolute priceless feeling on your wedding day. Amy was an absolutely pleasure to work with, such a lovely, positive and warm person who is totally committed to ensuring you have the best day of your life. 100% recommend. Thank you so much Amy”. Anna and Dave had their gorgeously rustic and very relaxed wedding in Lancashire on the bank holiday Saturday at the end of May 2018. 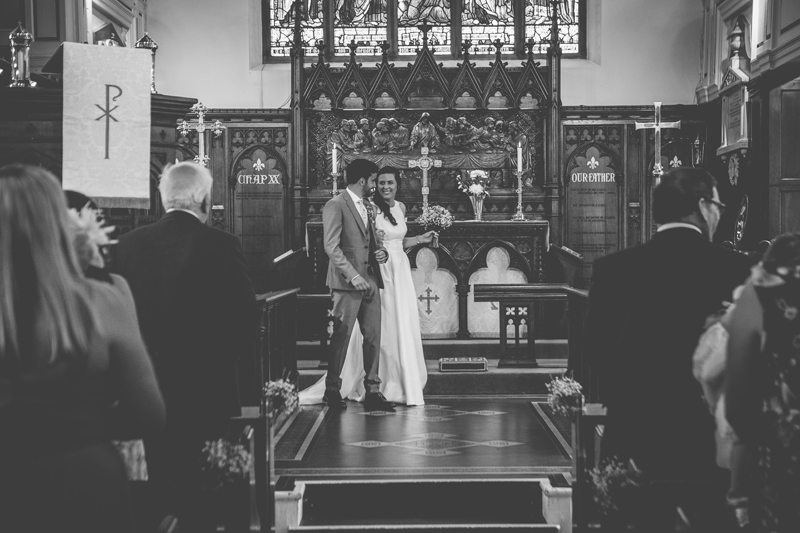 Their ceremony at the beautiful St Anne’s Church in Tottington, followed by a tipi reception at The Paddock, Ramsbottom, Lancashire (the most idyllic setting). Dave and I, apparently, met at sixth form college when we were in the same form together, I actually don’t recall us being in the same form, so our official first meeting was when we both worked as Sales Assistants at Next when we were 19. We were friends for a couple of years before one-night drinking one too many alchopops and staying together ever since! Dave put the engagement ring in my advent calendar. It was at home, just the two of us and exactly how I would have wanted it. Our style was to have a relaxed and fun wedding. We wanted our guests to be able to come and have a drink, eat some nice food and have a bit of a party! Anna contacted me in November (around 6 months before their wedding). She wanted someone to pull everything together, as well as being there on the wedding day itself. After a few emails and a lovely phone conversation they booked me for full wedding day management and decided a couple of months before to book me the afternoon before as well to assist with setting up. As with all of my couples, a very bespoke service was put together for them. They wanted me to stay onsite at the tipi on their wedding day as so many suppliers were arriving and needed coordinating as well as ensuring everything was setup exactly as they imagined. Why did you choose Amy as your wedding planner / coordinator? We had spent quite a bit of time planning our wedding and when we had all of our suppliers in place it suddenly dawned on us that it would be really difficult for us to coordinate the day. 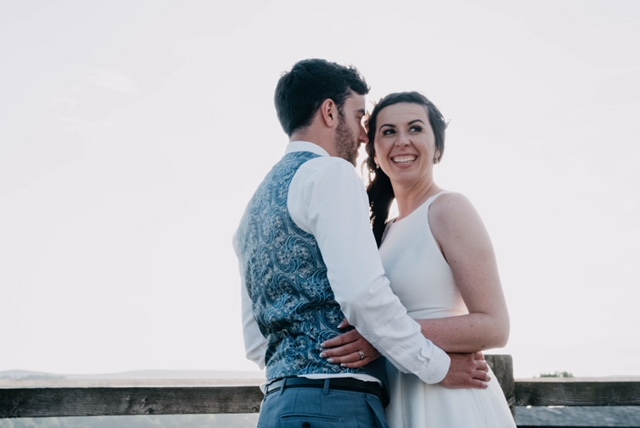 We chose Amy as we wanted someone who understood that our wedding was chilled and didn’t need military style organisation, but someone who would still be professional and ensure that things did run as smoothly as possible. After a few email exchanges with Amy, her dedication, passion and understanding of our day shone through and it was obvious that we would go with her. Whilst our wedding planning journey was relatively short, I could just tell how relaxed Anna and Dave wanted their wedding to be. We didn’t actually meet in person until the day before their wedding. We obviously sent lots of emails and met on FaceTime to go through their day in detail a couple of months before the wedding. It was very important to Anna and Dave to have discrete organisation that appeared effortless (my favourite kind). I most enjoyed that our experience with Amy was just easy. Everything just flowed; our communication, her communication with the suppliers; the day itself. It was just a stress-free experience! Dave and I had a moment on our wedding day, where we just stood and said “we have arranged all of this”! It was just really nice to see our vision just all come together and be so wonderful. I arrived just after lunchtime on the Friday and assisted setting up the tipi which had been erected by Big Chief Tipis – the most gorgeous lighting had been installed inside the tipi as well. Tables and chairs were put in position, tables were clothed and napkins folded. Polaroid pictures (which were place name cards) were then put out and Anna and Dave started personalising the wedding space. Friends arrived with props and these were also put into position. I also went through with them where everything was so they didn’t need to be bothered on their wedding day. I stayed very local just down the road at the very pretty Eagle and Child the night before the wedding. On the wedding day itself, I was onsite at the tipi bright and early. Signage had to be put out as well as finishing everything off in the tipi, including putting glassware on the tables. Everything was finished outside as well, including putting throws on the straw bales. There were some lovely suppliers involved with this wedding and the morning flew by as lots of things were arriving from different suppliers. I ensured all of the relevant drinks were out of their trailer fridge for the drinks reception. When Anna and Dave arrived, I greeted them as they wanted me to drive them to the front of the tipi as they had driven themselves from the Church. Their wedding had 80 guests in the day with around an extra 50 arriving during the evening. Fabulous fun photographers were on board for this wedding, Anna and Dave’s smiles, along with their relaxed vibe were just captured to perfection by them. An absolute pleasure to work with Stella Photography. Drinks were served from the fabulous Betty mini bar and the sun shone. Kitty and David were lovely and great fun to worth with. After drinks and a few photos, they were seated for their meal and speeches took place. After this they had their lovely relaxed meal of steak and ale pie followed by the most incredible sticky toffee pudding. Sarah and her team from Taste the Love were just fabulous and a pleasure to work with. Between the day and evening Anna and Dave had the most fabulous brass band playing outside. This was the perfect addition to their wedding. A beautiful spring day, everybody outside dancing and enjoying themselves. Amazing cocktails were also served by The Apothecary Bar. Birdie (their photobooth) was also in action. In the evening, they cut their cake followed by their first dance and their DJ made sure everybody was on the dancefloor. Before I left I made sure all of the candles were lit outside and everything was in order. This is VERY difficult to choose but I think dancing outside in the sun, cocktail in hand, to the brass band. What can I say such a gorgeous and relaxed wedding day with a great couple and group of family and friends. Every guest at this wedding was just lovely. It was a pleasure to be a small part of your wedding planning journey and day Anna and Dave and thank you again for choosing me. If time allowed, do little bits here and there when you can. Dave laughed when I started making the table plan with 6 months to go, but in the weeks before the wedding when the pressures were building up that was pretty much all done and dusted and wasn’t something we had to worry about. We honestly didn’t really feel stressed at any point during the planning and I think that’s because we shared all of the planning between ourselves. We also had wonderful friends who enjoyed and helped us with the planning too, so look for support where you can. Beautiful weddings across Lincolnshire, Rutland, the Vale of Belvoir, Leicestershire, Nottinghamshire, Derbyshire, Cambridgeshire and the whole of the UK, including gorgeous Lancashire!